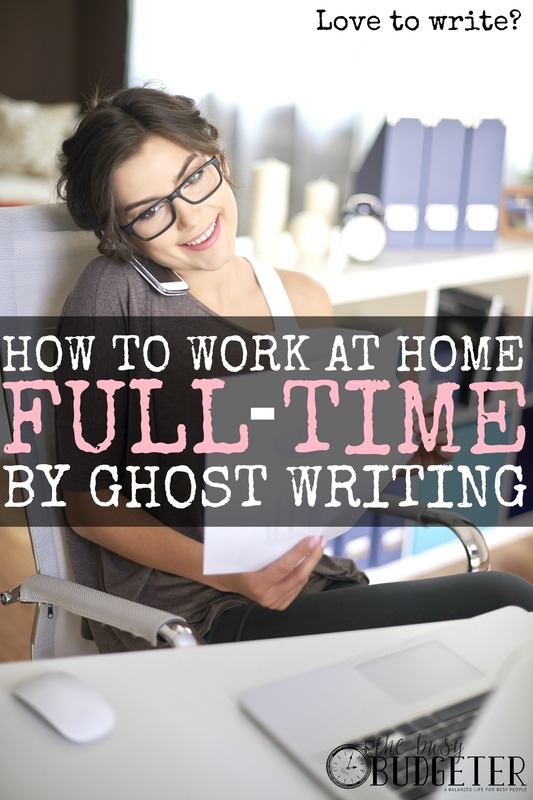 How I Make a Full-Time Income by Ghostwriting. I never planned on owning my own business. But, I’ve never been a very good listener when it comes to my parents’ advice (sorry ma and pa) and, when my life took a bit of a detour from the path I had laid out for myself, I went with it … and found myself enjoying a career I had never even heard of! After high school, I took some time off and did some traveling. I worked as a bartender on a cruise ship. I lived in a couple of different states. I went to different Countries. And, then I came back home to settle down and figure out my life plan. When my first baby was born, I was in my late twenties and 100% driven to finish graduate school and land a job in healthcare administration. I am a complete data nerd, and I had this idea that with an advanced degree and a love of analysis, I could have a real impact on the way providers administered health care in our Country. Fast-forward a few years and, I had my MBA and was working as a practice manager for a collaborative-care oncology clinic. It was an amazing job. Our team was having a significant impact on the lives of those affected by cancer, and it was humbling and enlightening. I had accomplished all that I set out to. When my second baby was born (a son), he had a weak respiratory system and needed extra care. My wheels had already been turning about the next direction I was going to take my career in. His illness coupled with that feeling within me of being unfulfilled in my career made it a no-brainer to walk away from the job that (I thought) was my dream come true. The next step was to figure out what the heck I was going to do! 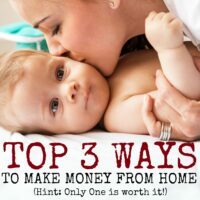 The only thing I knew for sure, was that I needed to work for myself so that I could give my son the extra care that he needed. I started to think back to my time at work and tried to identify which aspects of my job I really enjoyed and was good at. As the practice manager, I worked with a freelance copywriter/editor to coordinate and publish the weekly blog posts for our patients and their families. These posts were health and diet related and were meant to inform and educate our audience about the benefits of a healthy lifestyle when you’re living with cancer. I enjoyed the process, and thinking about it made me start wondering if maybe I could write blog posts on behalf of my own clients. After all, my favorite part of graduate school was writing research papers every week, and writing a blog post for a client was essentially the same thing; researching their niche, knowing their target audience, and writing posts that were interesting and helpful. It all clicked. I saw the light bulb. And, I got to work trying to land clients. 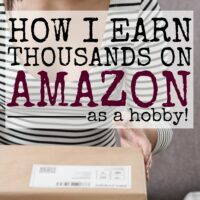 Because my writing style is more “research and inform”, I knew that I needed to connect with clients who had a customer base that was searching for “How To’s”. I have a knack for researching how to perform a certain task, and then writing it out clearly and step-by-step. Being a self-proclaimed data nerd, and being obsessed with best business operations and productivity habits, I knew I didn’t want to be contacting one client at a time to pitch them. 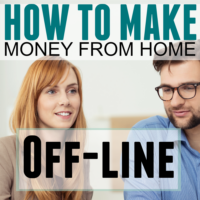 I wanted to leverage my time and get the biggest return for my efforts. So, I started contacting the local marketing agencies and, pitching them. I sent them some samples of my writing and let them know that I was available for ghostwriting on behalf of their clients. 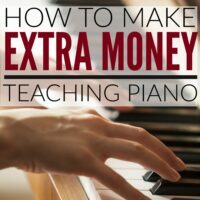 While this approach did put a “middle man” between myself and the clients I wanted to write for, as well as reducing the fee that I receive by a little, it was the approach that made the most sense to me. These marketing agencies had client lists full of “warm” leads who were already looking for ways to market their business and improve their online presence – what better way than to have regular activity on their blog?! And, it was a win for the marketing agencies because they could provide their customers a new service (blog writing), which they could promote as a benefit that would improve SEO, and position the client as a ‘thought leader’ in their niche because their blog would be a tremendous resource to their readers. It didn’t take long for things to gel, and once I started working with one marketing agency, word got around, and my client list began to grow. The best part was when I signed one agency – they would bring 10 to 20 clients who each needed two blog posts per month. So, I got a HUGE return for pitching the one agency. The biggest challenge that I have is working from home as a writer, and having a 3-year old and an 18-month old at home with me. It’s not easy to focus on researching automobile collision law in some random state when the two boys are running around like uncaged monkeys. But, because I have so many years of experience in performance improvement and an advanced degree in business administration – I am a whiz at time management and personal development. For the most part, I am able to schedule enough time to work, blended with enough time to be with my kiddos … and everyone is happy. I let my clients know that I deliver work on Fridays. They let me know how many posts they need, which customers they are for, and by which Friday they need them. I leave it up to them to manage their own in-house project schedule and require that they give me a one-week lead time. In other words, if it’s Tuesday when they’re contacting me … they’re getting their project back NEXT Friday. This helps me to schedule my time blocks in advance for the week and set a minimum number of posts that I need to get done in a day. I charge by the word, and my clients let me know the word range they would like me to stay within for their customer. For instance, a post for a plumber might not need to exceed 500 words but, a post for an attorney could go up to 1200 words. Because I work with my kids home with me, it is essential that I set boundaries with my clients and keep those boundaries firm. I have had the occasion where a client asked me if I could please put a rush on a job and I did … but, I charge them extra. I have been ghostwriting for more than two years now, and while it was never my “plan” it has allowed me to live my TRUE dream job, which is to work for myself and have the work/life integration that many people wish for. While I would like to move my career more in the direction of business and productivity coaching, I do consider myself extremely lucky to have maintained a successful career and business as a ghostwriter these past few years. What are some topics you could ghostwrite about? 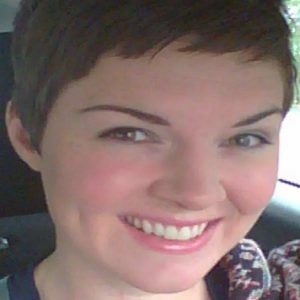 Marie is a copywriter, VA and homeschooling mom of three. At her blog simplehappyeasy.com she helps parents simplify home, life, and finances to work and live anywhere. I love that you paved your own path. I wish I’d taken time off after high school to travel, and being a bartender on a cruise ship sounds like so much fun! I’ve always wondered what cruises are like for those who work on them. Nothing beats the flexibility of being able to work from home! I do so, not as a ghostwriter but as a blogger, and I would have seriously hard time working outside of the house and answering to a boss again. Marie! Your story and life path are similar to mine, though I never traveled, which sounds like it was awesome! Thank you for sharing your experience with ghostwriting blog posts, it is what I am working toward and I am enjoying it so far! This was great to read! Thank you! I’m just starting out as a freelance writer. My situation is a bit unique because I’m an American living in Belgium who doesn’t speak Dutch. (Makes for quite the challenge.) However, there are a lot of high tech companies who want to make an impact on the international stage and that requires English. Just like you mentioned I’ll be sending a letter to every marketing company I can find within a 30-mile radius. Can I please ask for some advice about deciding how much to charge? I’ve heard it’s best to charge by the word, but if I charge too much I may not get clients and if I charge too little I won’t make enough to pay the bills. Any advice would be appreciated!